Soha Ali Khan, who is pregnant with her first child with actor Kunal Khemu, has a little Tuesday inspiration for all of us. Today, the 38-year-old actress shared a post on Instagram, which shows her striking a pose while doing yoga. Soha is seen dressed in a yellow crop top paired with black leggings. She confidently shows her baby bump in the picture, which has been captioned as, "Ready for battle in @nine_maternitywear fitness gear #warriorpose #yogaforlife #applewatch #fitnessgoals." This photograph of Soha Ali Khan is sure to motivate all the mothers-to-be and we totally love the actress' fitness freak spirit. 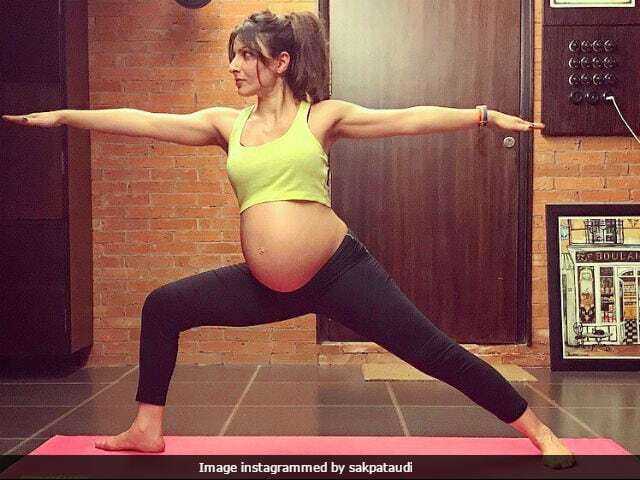 On International Yoga Day, Soha Ali Khan shared a collage of images which showed her performing various yoga poses with her baby bump. "Who says you can't stay fit when pregnant ? !," read the caption of the collage. Soha Ali Khan married actor Kunal Khemu in 2015. 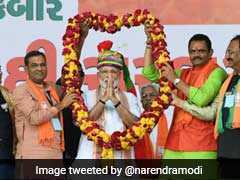 They have co-starred in films like Dhoondte Reh Jaaoge and 99. Soha, Saif and designer Saba Ali Khan are children of late cricketer Mansoor Ali Khan Pataudi and actress Sharmila Tagore. Soha Ali Khan made her acting debut in 2004 with Bengali film Iti Srikanta. She is best known for her performance in films like Rang De Basanti and Antarmahal.